Cooked organic cannellini beans (also called white kidney beans or fasolia beans) with no added salt. High in fibre and protein, these mild, creamy little pebbles are very versatile and, pre-cooked, make an ideal ingredient for weeknight cooking. Mix with one of our Field Kitchen favourites: grilled courgette, tomato and bean salad. 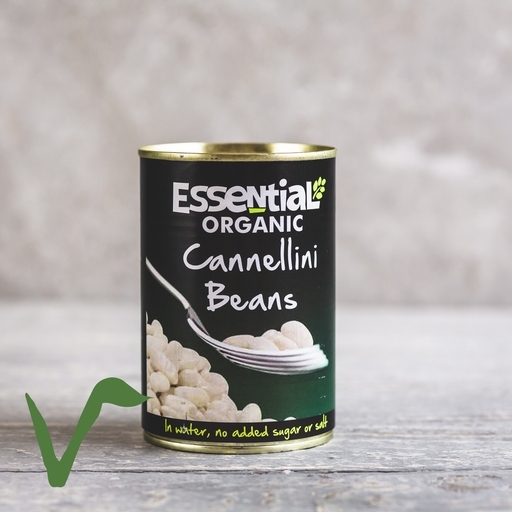 Unopened cannellini beans can be stored indefinitely. Once opened, don’t keep your beans in the tin – turn them out into a covered bowl and they’ll last for 3 or 4 days in the fridge.